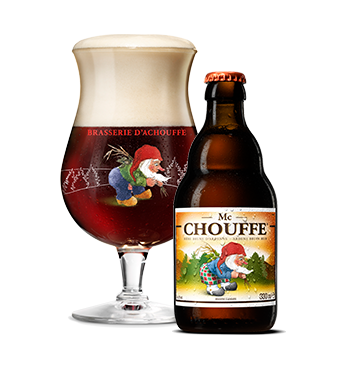 Founded by two brothers-in-laws in the 1970s who decided to brew their own beer at the Achouffe brewery set in the Belgian Ardennes. The dwarves of Achouffe soon set out to explore new horizons with exceptional flavours suited for every palate. A deceptively strong Belgian Blond that is both barrel and bottle fermented. 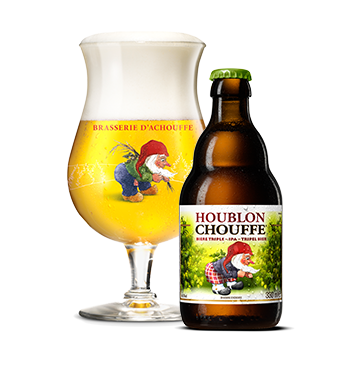 La Chouffe is an exceptional beer, with an abundance of flavour and character. A pleasant fruitiness combined with a slight coriander spice, laced with a fantastic hopped bitterness. 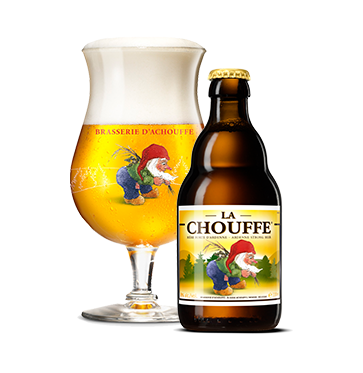 Well-rounded and effortless to drink, La Chouffe is a giant amongst gnomes. A wondrous fruitiness with bitter notes is the backbone of this unfiltered brown beer. Mc Chouffe stands out among other brown beers, in short, due to its exceptional smoothness and accessibility. A beautiful fruitiness is overlaid with roasted nut, caramel and oak notes that are all brought together by a slight bitterness. A refreshing beer, with depth of flavour and character, that leaves a lasting aftertaste. A blond special beer, designed specifically to be enjoyed on a hot summers’ day. 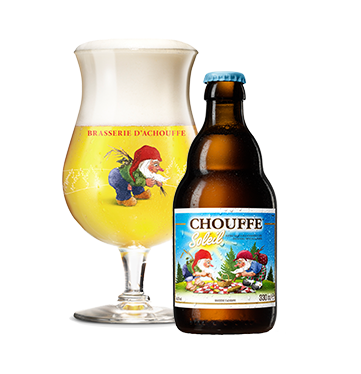 Chouffe Soleil is a marvelously refreshing beer, with a perfect balance of slight hops and delicate fruitiness. The wonderful fruit notes complement the nose of coriander and give way to an incredibly smooth & fresh finish. An ideal beer to sit and relax with when the sun is out. An unparalleled balance between hearty bitterness and pleasant fruitiness. Houblon Chouffe is a phenomenal Triple IPA with pronounced bitterness from the three different hops used. The strength of the beer, 9.5%, is not obvious, due to its wonderful freshness and fruit notes that make it very accessible. The strength, however, allows fantastic complexity and a finish that stays with you. A very well balanced strong dark ale, with warming spice and a wonderfully hopped foundation. 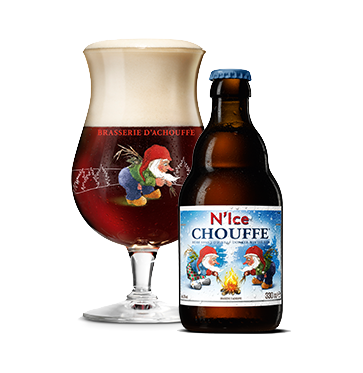 N’ice Chouffe only makes a brief appearance each year, when the Christmas holiday season is upon us. This strong dark ale is incredibly well-balanced. Deep, resinous, fruit flavours are matched by a tenacious spiciness that warms the palate, and brought together with a touch of brown sugar to round out a fantastic beer.